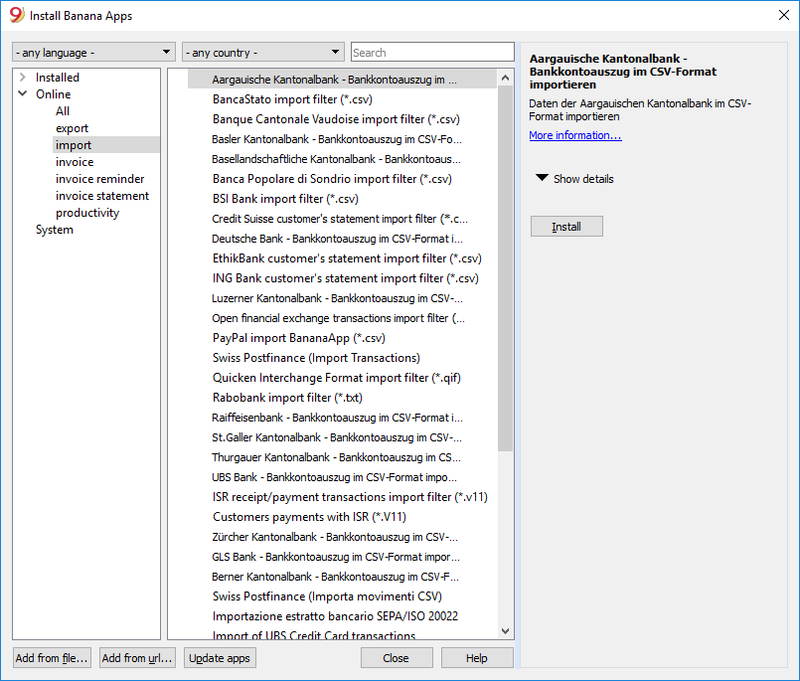 A dialog window will appeare where you can see and manage all Banana Apps, already focused on the import filter. You can refine your results by language and/or country. You can install the desired filters.